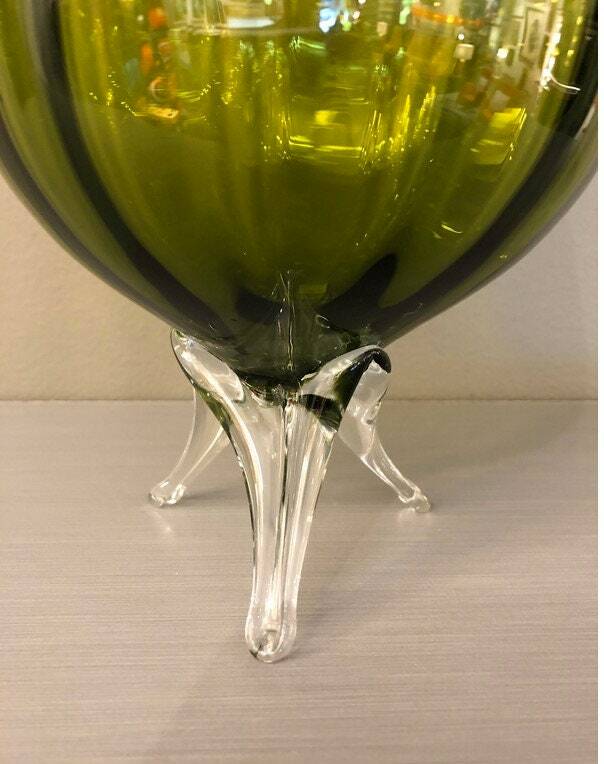 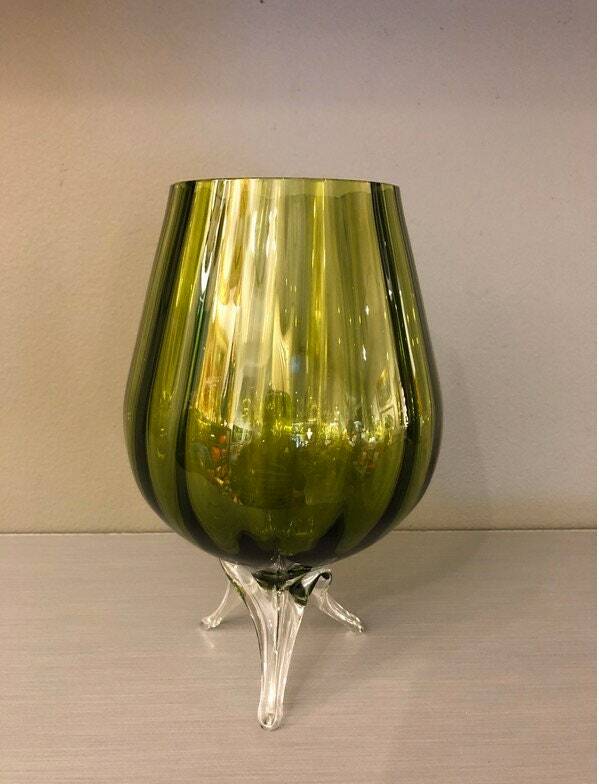 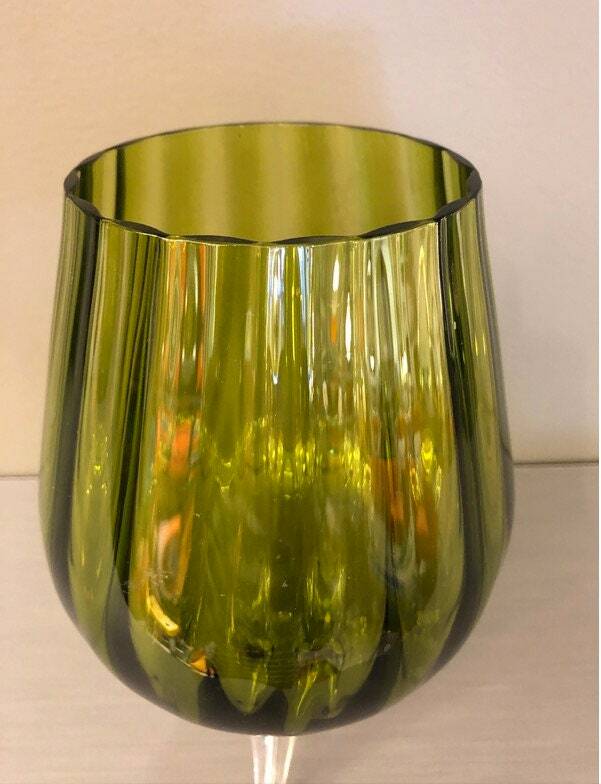 Beautiful mid century handblown Italian glass vase in a green shade color with three small legs in clear shade. 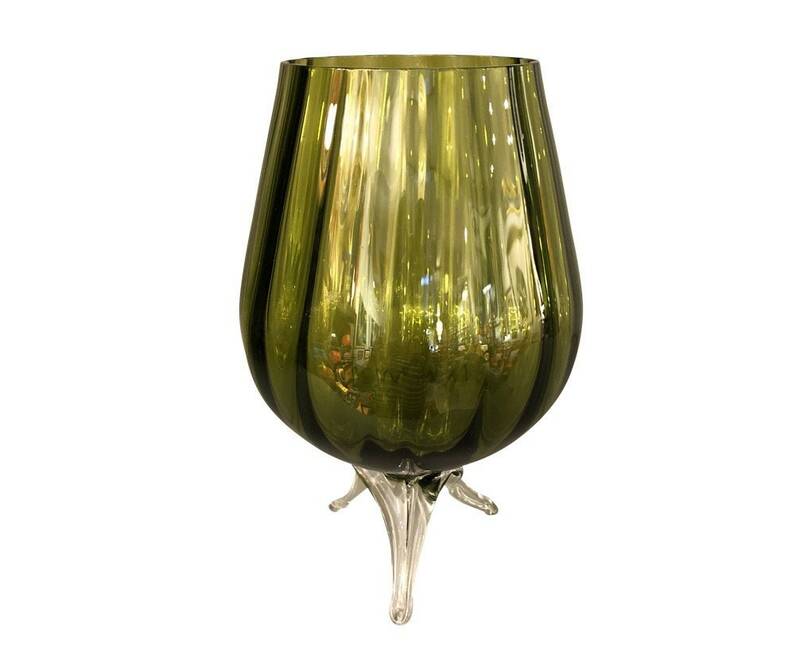 nice sleek design for your space if you like mid century you would love this vase. 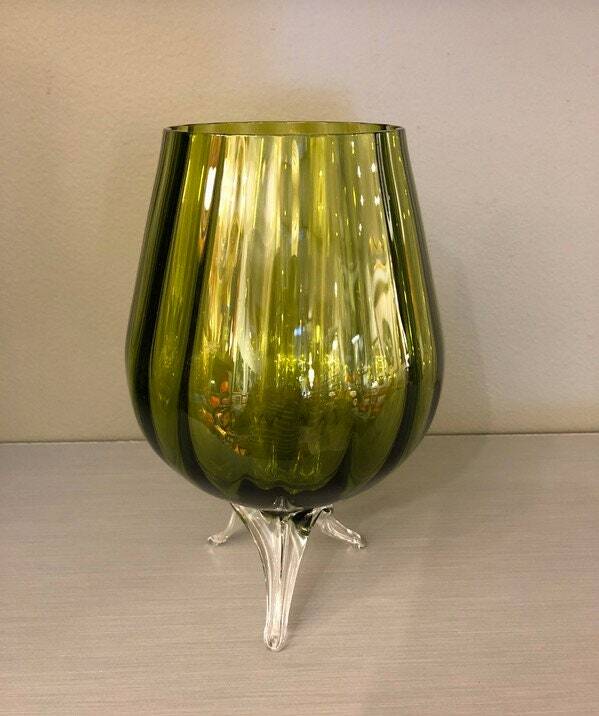 Top 3 1/2 inches height 9” inches.